This momentous shift is also becoming evident in customer service. AI is fundamentally reshaping communication — and not for the worse, as skeptics might fear. To gain a better understanding of the current developments in AI, let’s look at today’s status quo at many companies: Businesses must save costs. Yet, service departments require more resources than ever. Simply, because customers communicate more. On top of that, everybody and their mother is talking about customer experience. In the past, it was vital for a company to develop a good product and bring it to market at an adequate price. By contrast, businesses nowadays have to provide an experience to boot. Failing to follow suit would harm a company tremendously. In our digital world, anyone can attract attention and pull people on his or her side in a blink. You utterly want to prevent that from happening. Too many businesses, though, are trying so hard to achieve all goals at once — and achieve non to the fullest potential. At the other end of the line are your customers. Think of yourself as a customer for a moment. 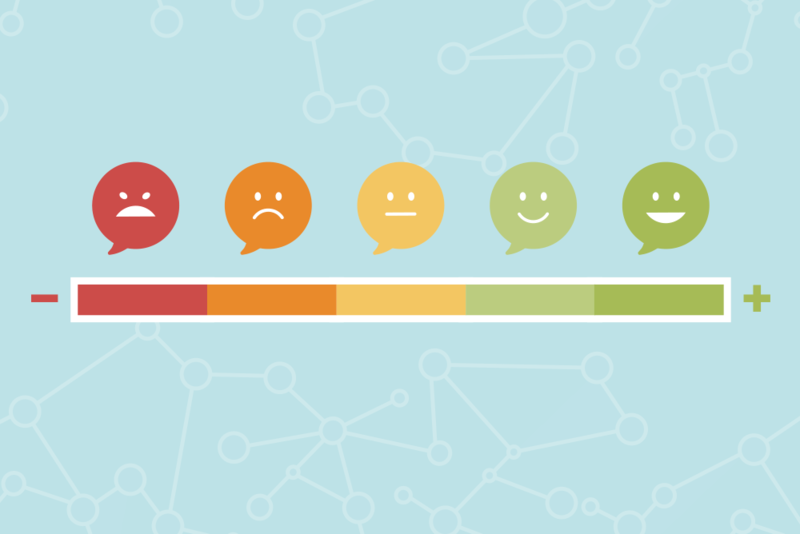 When was the last time you were truly content with a company’s customer service? Likely, it’s been a while. No surprise there. A lot has happened for customers over the past few decades. Many still remember the fundamental shift from the personal service at their corner store to anonymous call centers. The decision-makers at these communication factories incessantly make cuts, optimize and restructure. The consequence for the customer: speaking to a different contact each time, frequent interruptions, anonymity and increasingly complex processes. These developments don’t really fit into a world, where customers are becoming ever more important and positive customer experiences are triggering purchasing decisions. This is why, under all circumstances, the only conceivable conclusion can be: Companies must redefine their customer service and reconcile with their customers needs. The most important tool in this process is artificial intelligence (AI). AI’s essential power: The algorithms of these intelligent and self-learning systems identify the content of any kind of customer message. They analyze incoming information and extract relevant data, which they dispatch to staff or downstream systems. Create a seamless customer service with AI. Disruptions, changing contacts and drawn out claim processes irritate customers. At fault are often uninformed employees and communication channels that seem to run in parallel universes. The solution: Use AI software to network all communication channels and consolidate any information about a customer centrally. AI systems join the key points of positive and negative customer experiences. Thanks to intelligent desktop or omnichannel applications, each member of your customer service team has the same information at hand, which reduces the need to consult or coordinate with others on the team. Agents are empowered to bring a case to conclusion by themselves, and inquiries can be resolved quicker. Get to know your customer better with AI. Rather than merely react, you want to actively design customer communication? Then you must first understand your customers’ needs. You can do that by phone. What’s more, your customers are leaving traces that contain crucial clues. Intelligent analytics software assesses moods, critique and needs of customers across all communication channels and systematically edits the data. This way, you’ll find out, which products and services your customers want, which ones they are missing and what your customer service is lacking. These invaluable insights allow you to engage with your customers on an individual level. Proactively surprise them with personalized offers at the right moment. At the same time, you will be better prepared for negative surprises from your customers. Use AI to brace yourself for your customers’ dissatisfaction. AI-software follows and reads emails and comments across all channels in real time. It identifies outrage on social media, issues with products and negative reviews, and automatically conveys this information to the customer service team. Thus, companies become aware of negative publicity early enough to react to reproaches timely. Efficiency and cost savings can no longer be the main goals of customer service. As unaccustomed as many businesses still may be to this factor, the spot at the top of the priority list must go to customer experience (CX). Never before has it been that easy for individuals to move masses. That’s why you have to put the individual back at the center of your business efforts. Successful businesses have had to become customer whisperers. And because this progression drives the (budget) pressure in customer service to a flash point, they desperately need support. And help is already at your disposal: AI-powered technology analyzes what the customer wants. And it swiftly and reliably provides this information to the right people. Those are the best premisses of excellent and personalized customer service. If you would like to delve deeper into the topic of efficient customer service with AI, I recommend reading my latest e-book "Human-Machine Collaboration.” You’ll find out how humans and machines successfully work together in service and back office.